Firesafe is one of the biggest manufacturers of specialised fire systems in Australia. 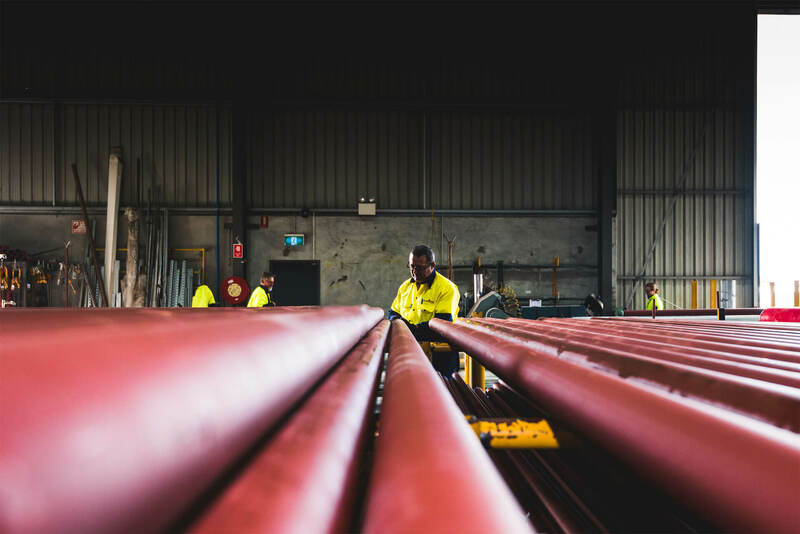 From our well-appointed workshop, our fabrication team can handle the full range of pipe sizes from 25mm right up to 200mm and beyond. With round the clock manufacturing capability, Firesafe can guarantee on-time delivery of fabrication orders, regardless of size and complexity. All aspects of the fabrication process have been exhaustively tested and fine-tuned to ensure a 100% quality outcome – we back that promise with full workmanship and materials warranty. Our workshop has been designed with ergonomics in mind so that manual handling is minimised and we proudly maintain the highest standards of occupational health and safety across our workforce. All pipework is delivered as fit for purpose with a range of finishes – primed, painted or galvanised – depending on the application. With full in-house painting facilities, we’re able to match any design specification… but we like red! Firesafe can handle all aspects of logistics and delivery from class A reserves through to our many projects across the metro area.